I am pleased to announce that i have survived my first transfer in the field (this one was 7 weeks, a little strange) and, as my companion decided to make clear to me yesterday, i have finished 1/8 of my mission. Ugh, that's crazy to think about. We've been travelling a lot lately, and it seems like every time we've tried to work something comes up or an appointment falls through etc. I guess that's part of being in the farthest city from the mission home. 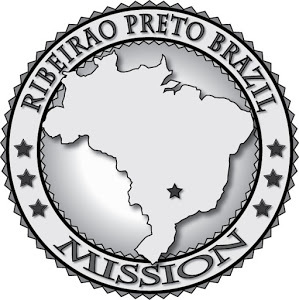 We did have a good zone meeting last week in Araçatuba, and this week (today actually) we have some missionaries dying, and we'll have 3 missionaries training in our zone, which means i'll no longer have the glory of being the newest missionary. what a shame. not really haha. I also got the opportunity to do some divisions in Araçatuba, which was cool to work in another area with other missionaries, see how they work and teach, etc. For the first time in my mission i had to knock doors (well, clap my hands outside people's gates). It was, well, knocking doors. We just met a lot of people who were SUPER busy and didn't have time to talk to us haha. We had a branch christmas party this week, which was pretty fun. We got to know our branch members a little better, and i got to hear Christmas music in English, which is far and few between down here. I do like our area though, so i'm glad ill be staying here for (at least) another 6 weeks. It seems like every week in church, we have new investigators as well. This week, a 17 year old guy just wandered in. Didn't know any members or anything. It was crazy. We'll be adding him to our list of people to teach this week. Things like this make me frustrated though, because we have SUCH a good area, but are hardly ever here to work. Hopefully now that it's a new transfer we'll have time to focus more on our investigators instead of 6 hour bus rides and what city we need to be in every day of the week.